Wilma Andersson from Sundsvall has run a number of races in both the 2018 Swedish Championships and 2018 Summit EDRS Series with focus on the number one spot and she did it with great success. An extremely exciting and tough season though, where the opponents didn’t make it easy for her. But finally, she won everything that can be won in Jr. Drag Racing. In November, Wilma received the Summit Racing EDRS Series top trophy for her achievements. Last weekend in January, it was time for the next award ceremony. 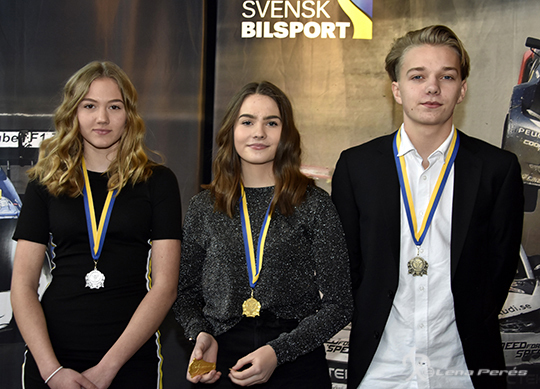 This time it was the Swedish Championship Award that was handed out and where the competition was extremely tough. During the finals in Lindesberg in August, several of the racers at the top of the point table had the opportunity for the gold medal. 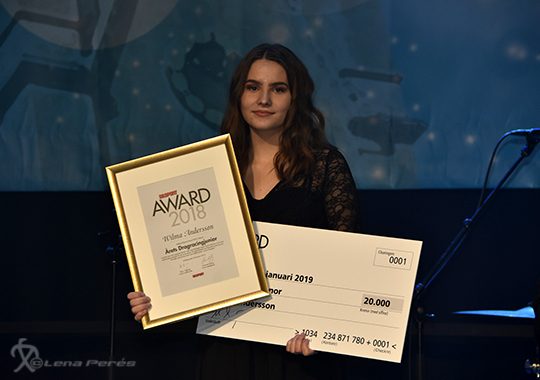 But Wilma stood her ground and won the Swedish Championship with Tindra Christensen right behind in the second position and Pontus Söderlund in third place. 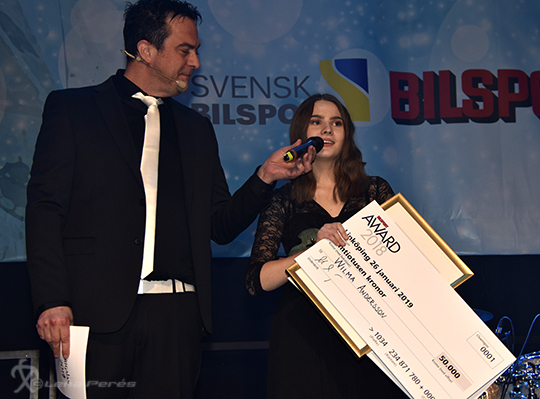 With her achievements in several racing series, Wilma was also nominated for the Bilsport Award 2018 Dragracing Junior and received a prize check of 10,000 SEK during the Bilsportsgala 2019 at the Saab Arena in Linköping. But it didn’t end there. 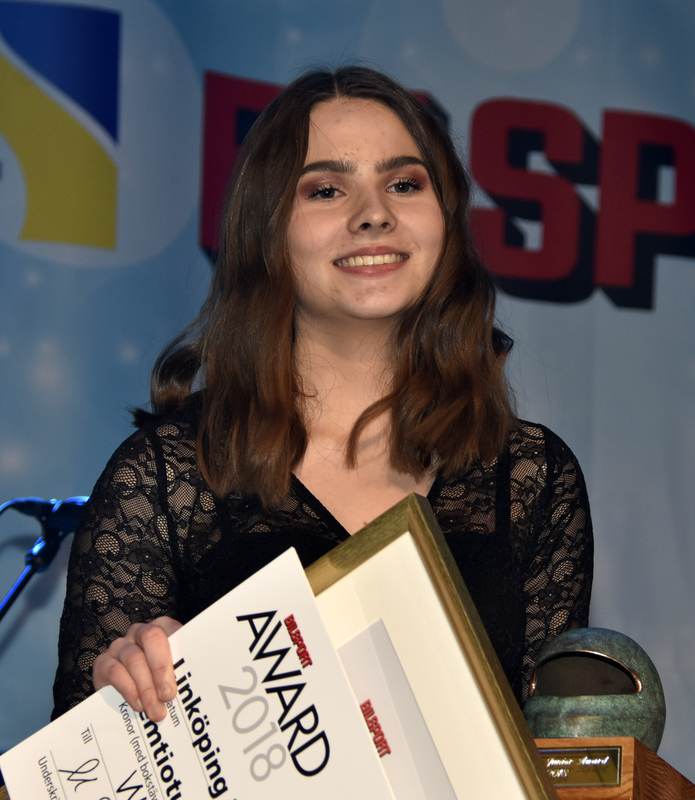 Among all junior race car categories, Wilma had received the most votes for this year’s Bilsport Junior and received another prize check and award under standing ovations. At conferencier Mikael Johansson’s question of what the money would be spent on, the answer was clear. “It will be for a new race car”, Wilma replied, she will continue to compete in the Jr. Dragster class at least this season. But what we could understand during the evening, she has a focus on a faster class and bigger wins. 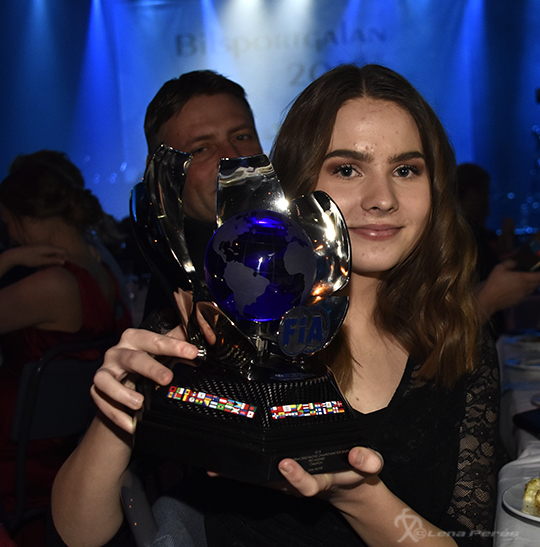 Of course, Wilma wants to follow in her father Niklas Andersson’s footsteps, and when given the opportunity, and take home some FIA ​​trophy’s in the future. We are of course looking forward to this.